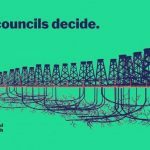 He added that Government plans to move fracking decisions from local council control and “to shift that responsibility to London and a faceless Secretary of State is an outrageous affront to democracy”. Councillors from all parties spoke in the debate to support the motion, highlighting the air quality and climate change impacts of fracking aswell as the implications for local decision-making and accountability. Conservative Councillor Daly spoke in support of local democracy and fracking decisions remaining with councils, while Liberal Democrat Councillor Pickford said “there is no place whatsoever for fracking in our future energy supply”. “Councillors and MPs from all parties are speaking out against the Government’s plans to fast-track fracking. It’s fantastic that Bury Council has passed this motion unanimously to send a message to Government that local councils and communities must decide on fracking.